The Wiwi Jury — our in-house panel of music unprofessionals — is busy reviewing the songs competing in this year’s national finals for Eurovision. As we planned this musical journey across Europe, we just couldn’t leave Germany off our itinerary! As such we are reviewing all 10 songs sung by ten acts who are competing in Unser Lied für Stockholm. 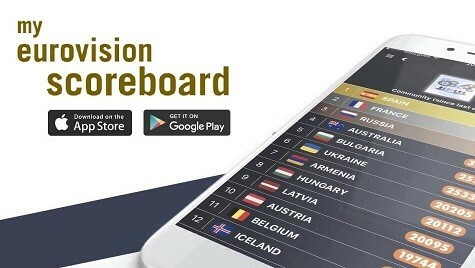 Each of our participating jurors — who hail from Spain, New Zealand, Iceland, Austria, the United Kingdom, Australia, Romania, Portugal, Russia, Greece, the Czech Republic and Germany — review the each song and award it a score out of 10. The scores are then averaged for the Wiwi Jury Verdict. UMK 2016: Who should qualify from the third semi-final? Good that everybody has a different taste… I would not mind sending Avantasia to the Finals, but I would not mind sending Jamie-Lee or Joco either. Agree with Daniel, let’s hope they win. That’s by far the best song submitted this year!